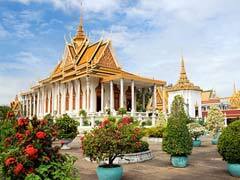 Cambodia may not be the first place you think of for an Asian vacation. The history of the country is horrific at times but the tourist attractions are there waiting to be explored and are especially interesting if you have a fondness for ancient ruins and exquisite pieces of art. Cambodia’s tourism may not be at par with that of other countries in the region, but they do have their share of gems. Being located in Southeast Asia, Cambodia borders Vietnam, Laos and Thailand. It has a coastline on the Gulf of Thailand and Tonle Sap, the largest lake in the region that changes its flow direction twice a year and expands and shrinks depending on the season. Along with its geography, Cambodia is an interesting land filled with hidden (and not so hidden) gems. 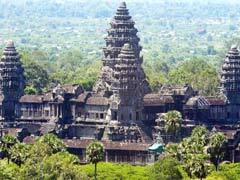 Angkor Wat is probably the most popular attraction in all of Cambodia. It is the largest Hindu temple complex in the world and each year, thousands of travelers to Cambodia make it a must see on their itineraries. Angkor Wat is the best preserved temple on the site, known as the Angkor Archeological Park (it also houses other temple ruins that occupy each compass point) and it is a significant religious center. Although it started out as Hindu, it changed to Buddhist and that is how it remains today. This symbol of Cambodia appears on their national flag and is world renowned for its beauty and symbolism. From its outer wall to its moat and bridges to its carvings and sculptures this temple inspires the masses and is a sight to behold. As the gateway to the Angkor region, Siem Reap is also the capital of the province with the same name. It houses the Angkor National Museum, where tourists to Cambodia can see and learn about the archeological finds and the Khmer history of the nation. Ta Prohm is another site with ancient ruins that is interesting to see as the stone pillars and carvings intertwine with the jungle tree roots. Phnom Bakheng is a temple mountain that those traveling in Cambodia can ride an elephant up or use the carved (and steep steps). The views are breathtaking and there is an awesome view of Angkor Wat from the top as well. Ta Som, the Terrace of the Elephants and Ta Keo are all ruins as well, although not as large or as preserved as those at the famous Angkor Wat. The capital of the country of Cambodia is located at Phnom Penh which lies southeast of the Angkor sites and at the other end of the country. Here vacationers can take in many sights like Wat Ounalom, which is the biggest Buddhist center in Cambodia and the oldest active temple in the city itself. The Royal Palace is the king’s residence and a stunning architectural gem in the city. The Silver Pagoda is also on display and is interesting because of the 5329 silver tiles that make its floor. Gardens to wander and soak up the history and culture of the palace are also open to the public. The National Museum boasts many Angkor Wat statues and sculptures as well as urns, busts and cannons as it celebrates the history and culture of the country. Not all of Cambodia’s history is a pleasant trip down memory lane, especially the years in the 1970’s when the genocide was in full swing. Today the scarred country has memorials for the victims of the horror that tourists to Cambodia can visit to get a better understanding of what really went on there. One such place is the Tuol Sleng Genocide Museum, housed in what used to serve as the torture and detention center but is now is a museum dedicated to the memory of those who were lost. There are plenty of reminders of what went on there on display in an attempt for understanding and the hope that these atrocities are never repeated. The Killing Fields is probably something those traveling to Cambodia should do in tandem with the museum, as it is the place that were the execution grounds. A self-guided audio tour allows visitors to hear the story and see the places without disturbance or interruption. 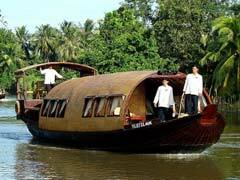 The Mekong River winds its way through Cambodia on its way to the sea and is the longest river in the region so it is no wonder that tourism in Cambodia banks on people taking advantage of the cruises that are offered. Most include stops in neighboring Vietnam as well and take travelers to Cambodia on magical adventures to explore ancient cities and sacred historical cultures. Rural villages, major cities and spectacular scenery are on the itinerary if you choose to do this as part of your Cambodian vacation. Cruises can be anywhere from 4 days to a week in duration and there are several different ports of call and start/end points from which to choose.